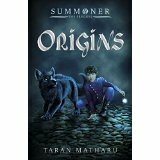 Taran was born in London in 1990 and found a passion for reading at a very early age, beginning his first book at 9 years old. After graduating with a First in Business Administration, Taran landed an internship in Digital Sales at Penguin Random House, from June to September 2013. He then took time off to travel before beginning to write ‘Summoner’ in November 2013 during Nanowrimo.Thanks to daily updates on Wattpad.com, it reached over 3 million reads in less than six months. 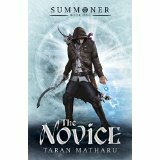 After being featured by NBC News, Taran signed with Hodder. It is due to be published in a wide range of countries and territories. 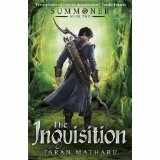 Find Taran on Twitter @TaranMatharu1 and at facebook.com/summonerbook. Fletc her will find himself caught in the middle of powerful forces, with nothing but his demon Ignatius to help him. As the pieces on the board manoeuvre for supremacy, Fletcher must decide where his loyalties lie. The fate of an empire is in his hands.